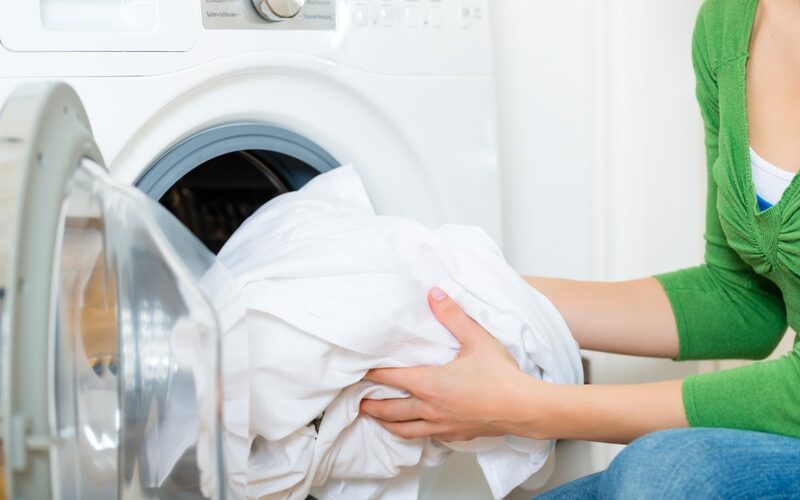 All bed and bath linens that have come in contact with an infected individual will need to be dried in the dryer on high heat for 30-40 minutes before being washed and dried again. Be sure to include any quilts, comforters, blankets, and pillows. Items that cannot be placed in the dryer should be placed in plastic bags and then set in a freezer for 48 hours. If that is not an option, then simply place the item in a plastic bag and put somewhere in isolation for at least 48 hours. Head lice do not survive off of the human host for more than 48 hours. Similar to linens, all clothing that has been worn or in contact with an infected individual will need to be dried in the dryer on high heat for 30-40 minutes. If an item cannot be machine dried, bag the items and isolate for 48 hours. Dry cleaning is not guaranteed to rid clothing of lice, so take special care to isolate special clothing items. These cleaning methods should also be used for all outerwear, including hats, scarves, jackets, coats, sweaters, etc. Brushes, Combs, and Hair Accessories. Take all hair brushes, combs, and accessories, label appropriately to avoid sharing, place in plastic bags, and set in a freezer for 48 hours. After that, wash thoroughly with hot, soapy water and allow to air dry. Clean any containers, holders, and drawers before putting items back to get a fresh, clean start! Place any helmets in a freezer or, if they cannot fit, set aside in a plastic bag for isolation. We recommend items to be isolated for at least 48 hours before being wiped down to ensure a complete clean. Stuffed Animals. Don’t forget about stuffed animals! We recommend drying in the dryer on high for 30-40 minutes, and if possible, washing and drying afterward. If the stuffed animal is fragile, the use the freezer method mentioned above. If you are not comfortable placing the stuffed animal in the freezer, then set in isolation for at least 48 hours. Items to clean or set in isolation, if used while an individual was infected, include: headphones, baseball caps, and anything else that came in contact with the individual’s head or hair. Keep in mind that items such as countertops, carpets, floors, etc., do not need to be deep cleaned. A simple vacuum of the home will suffice, in addition to the above. Now you can look forward to a happy, clean, lice-free home. If you are currently dealing with head lice it’s very important to be treated effectively, in order to get rid of lice quickly and prevent it from spreading to others. The treatments at Pediatric Hair Solutions have greater than 99% effectiveness rate and we offer a 30 day 100% guarantee. You can view each of our treatment services here. To make an appointment or get more information, call 704-909-9414. If you do not live near one of our treatment centers, we recommend using our Home Treatment Kit. The kit contains two 8 oz. bottles of non-toxic Treatment Solution, a bottle of Enzymatic Mousse to help remove the eggs/nits, and a Terminator Nit Comb.